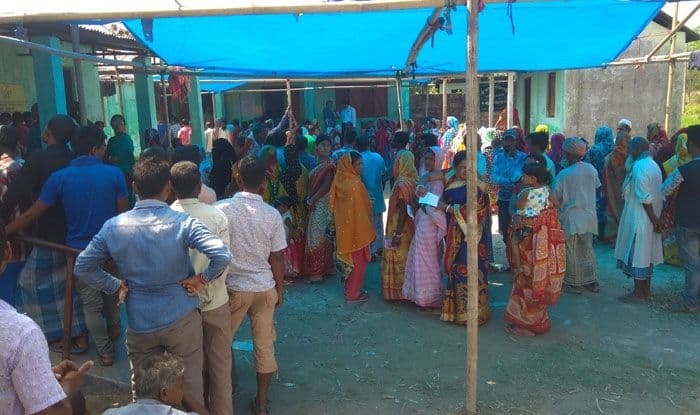 An estimated 83.79 per cent of 34.52 lakh voters exercised their franchise in Cooch Behar and Alipurduar Lok Sabha constituencies in the first phase of polls in the state, an election department official said on Friday. In Cooch Behar (SC), 83.88 per cent electorate cast their votes till 6 pm on Thursday, while Alipurduar (ST) seat registered 83.70 per cent polling, he said. No incident of violence was reported from any part of the two constituencies and the first phase of the seven-phase election in the state was largely “peaceful”, he said. TMC leader and North Bengal Development Minister Rabindranath Ghosh alleged that EVMs malfunctioned in several booths and it could be part of the opposition’s conspiracy to manipulate votes. The ruling TMC and the BJP are the main contenders in the two north Bengal seats, while Left Front constituents – the Forward Bloc and the RSP – and the Congress are fighting to prove their existence.